– Including a Pair of Special Edition Freshly Pressed(TM) GameStart Socks! 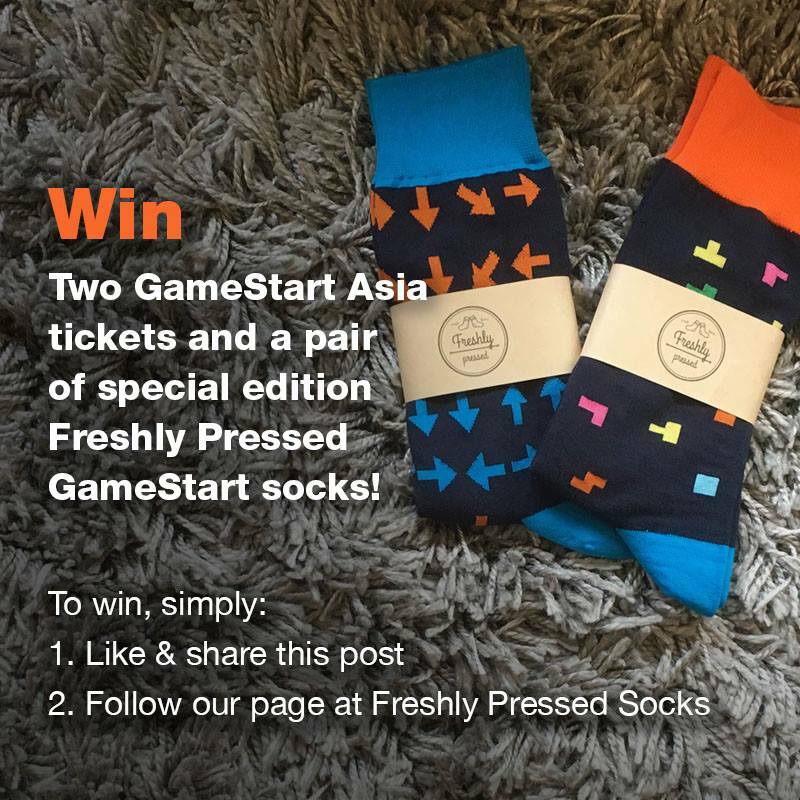 09th November 2015, Singapore – On top the Giveaway that the organizers are offering, this is an additional chance to Win a Pair of tickets to GameStart Asia PLUS a chance to win the Limited Edition GameStart Sock from Freshly Pressed! 1) To Win, LIKE and SHARE this link to your Facebook & Hashtag #ourshutterjourney! 2) Then FOLLOW Freshly Pressed Socks here. The GameStart Asia will be held at Suntec Convention Centre, Hall 401 & 402, Singapore from 14th-15th Nov 2015. The winner will be announced on 11th Nov 2015. This entry was posted in Featured Photography Merchants, Group Announcements & Notices and tagged Freshly Pressed, GameStart Asia, ourshutterjourney.com. Bookmark the permalink.